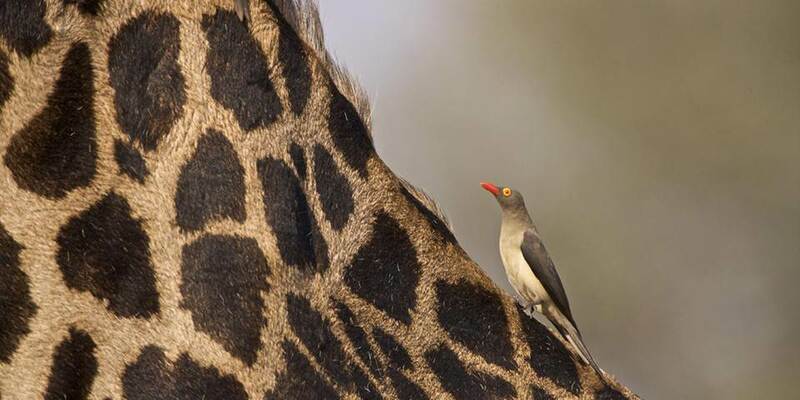 The exclusive Chamilandu Bush Camp is an intimate, astonishingly beautiful camp set on one of the South Luangwa Valley’s prime river locations, perfect for a birds-eye view of the wildlife that the river and its lagoons attract. Early mornings at Chamilandu (which means “the place that solves problems” in Chichewa) are quite unbeatable with stunning views of the Nchendeni Hills, vast African sky and the lapping waters of the Luangwa River, all from the blissful comfort of a sumptuous four-poster bed in a cool stilted tree-house. 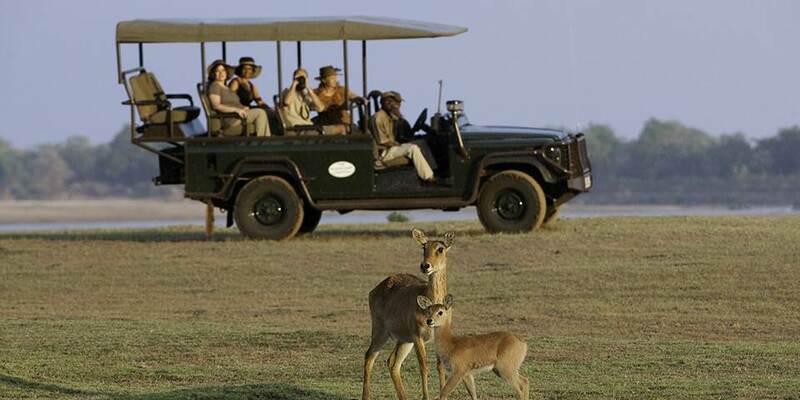 Walking safaris and game drives around Chamilandu Bush Camp are an ideal way to explore the impressive range of habitats in the area, including riverine forests, mopane woodland and open floodplains. 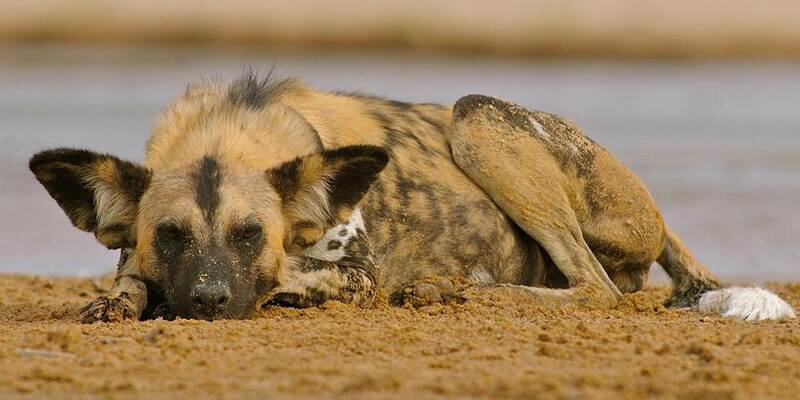 These attract a diversity of wildlife from plains game such as Crawshay’s zebra and impala, to wetland animals like puku, waterbuck, and the shyer kudu and leopard. With no fewer than seven oxbow lagoons behind camp, there are always thirsty animals around seeking refreshment. 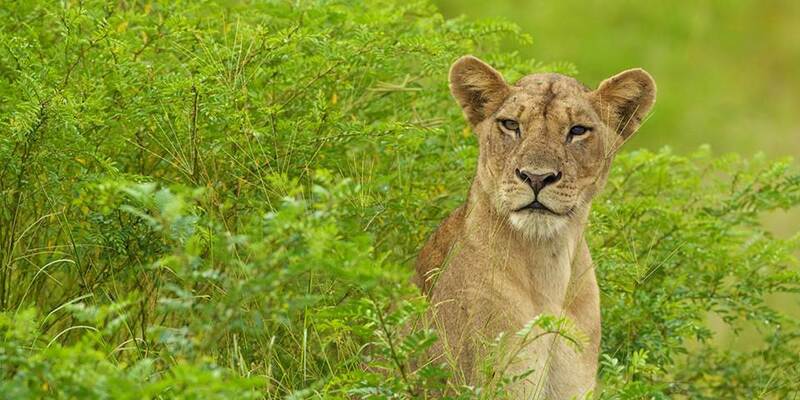 Over the course of a couple of days there should be decent sightings of lions, leopards, jackals, spotted hyenas and elephants, as well as a wide range of lesser game and some excellent birding. 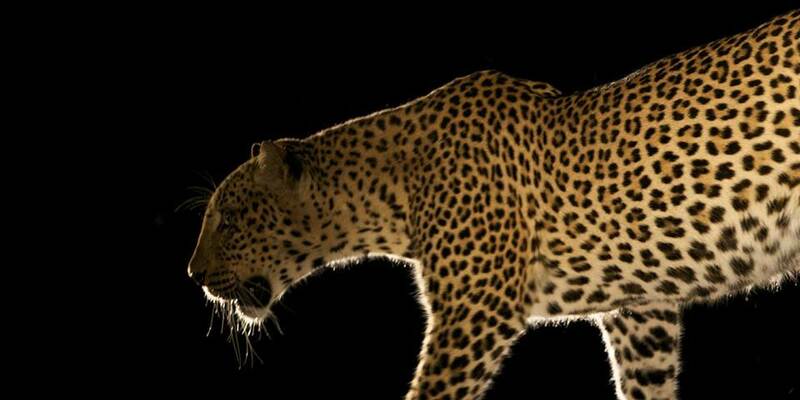 Animals, notably elephants, regularly wander through camp to collect seed pods from the canopy above, lions and leopards also come through camp at night. A couple of metres downstream there is a hide overlooking one of the lagoons which is the perfect spot to take lunch, tea or to while away an afternoon in a hammock to the sound of bathing elephants. The area is phenomenal for walking safaris and sometimes guests walk between Chamilandu Bush Camp and its sister camps to create a whole walking safari itinerary. 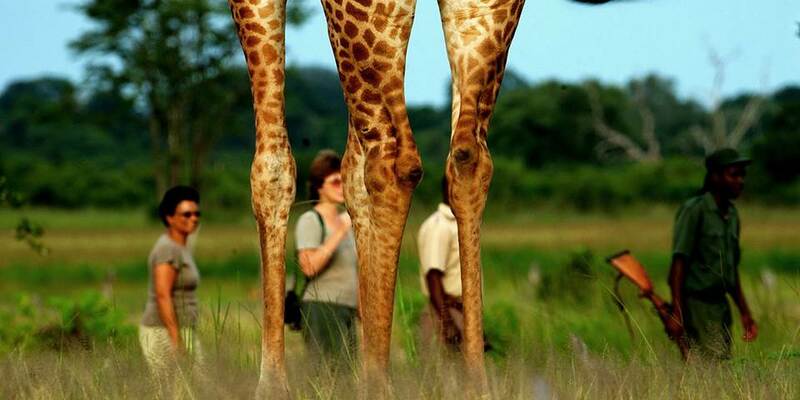 Walking safaris offer a constant mix of awe-inspiring sights, information and excitement. As a smaller camp accommodating a maximum of six people, there is some flexibility built into activities should guests wish to do an alternative activity. The exceptional staff at Chamilandu are universally praised by guests, who are mostly humbled by their gentle nature, kindness, affability and professionalism. 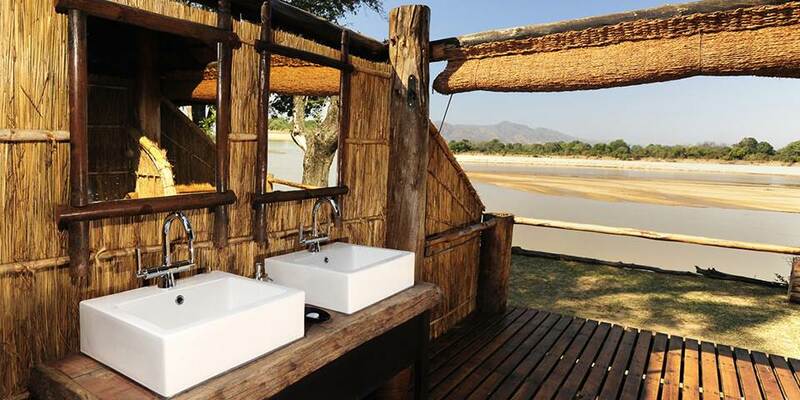 Raised two metres above the ground on timber platforms, Chamilandu Bush Camp’s three exquisite reed and thatch chalets are perched right on the edge of a winding section of the Luangwa River, beneath a towering ebony grove. Set well apart and with uninterrupted views of the river and the Nchendeni Hills beyond, each stylish and comfortable chalet has its own raised veranda to lounge on during the heat of the day, and an open-fronted adjoining bathroom with the same magnificent views over the tranquil waters. Two of the three chalets have two queen-sized beds and one has a king-sized bed. 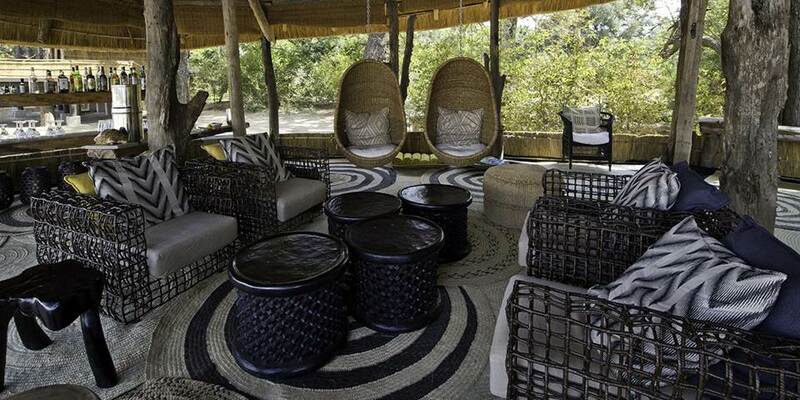 The contemporary and chic interiors have an African twist, and the black mosquito netting, wrought iron and brass fittings contrast well with the neutral colour scheme, thatch and wood. 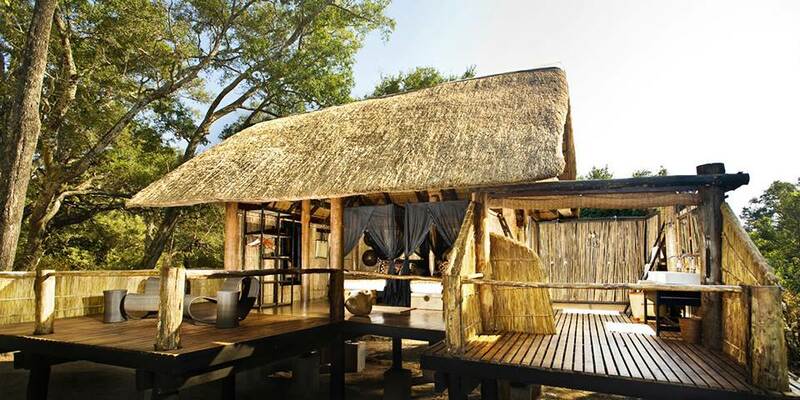 At the centre of camp there’s a modern, thatched ‘chitenge’; a comfortable dining area, lounge and bar furnished similarly to the chalets; hanging wicker chairs, moulded wooden stools, low slung sofas set on a sandy floor reinforcing the camps rustic feel, and all with stunning views over the Luangwa River. 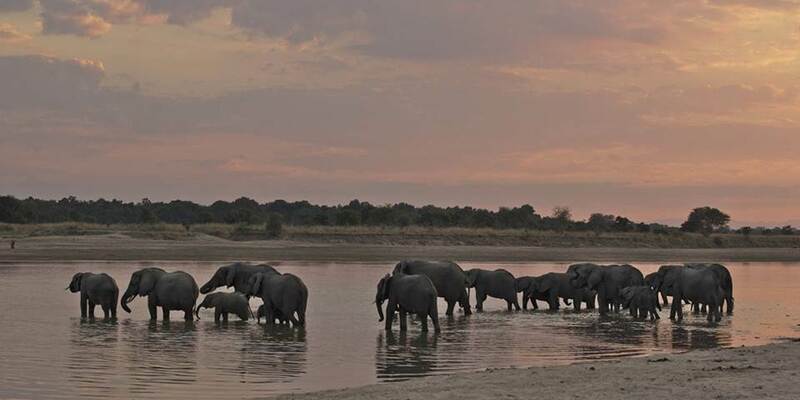 Guests can enjoy a sundowner from the comfort of the well-stocked bar while watching the wildlife below. Chamilandu Bush Camp is perfect for those travellers that can appreciate great food and service, delivered in a characteristically personal and informal way.